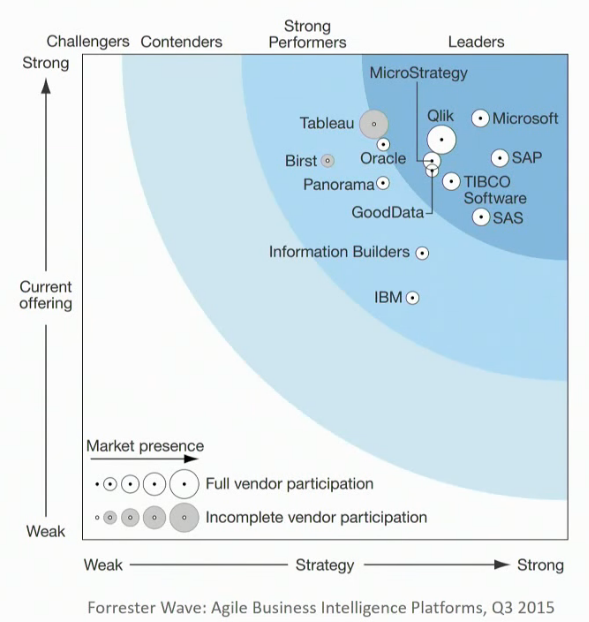 Forrester made Microsoft LEADER in terms of being able to provide Agile Business Intelligence (Q3 2015)! Whoooyaaahh! That’s a new one…PREEMPTIVE_OS_WAITFORSINGLEOBJECT…causes SSMS being unable to return the list of stored procedures. 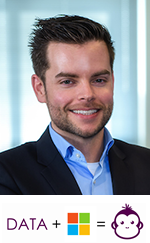 Headquartered in Redmond, Washington, U.S., Microsoftmarkets its SQL Server DBMS for the operational DBMS market, as well as the Microsoft Azure SQL Database (a DBMS platform as a service), and the NoSQL DBMSs Microsoft Azure DocumentDB and Azure Tables. Microsoft’s market-leading vision consists of NoSQL (Azure DocumentDB and Azure Tables), cloud offerings (including hybrid cloud), the use of analytics in transactions (HTAP) and support for mobility. Its vision for in-memory computing across products, hybrid cloud implementations and a “cloud first” strategy is ahead of its competitors. Microsoft SQL Server is an enterprisewide, mission-critical DBMS capable of competing with products from the other large DBMS vendors. Gartner’s 2014 market share data shows Microsoft as the No. 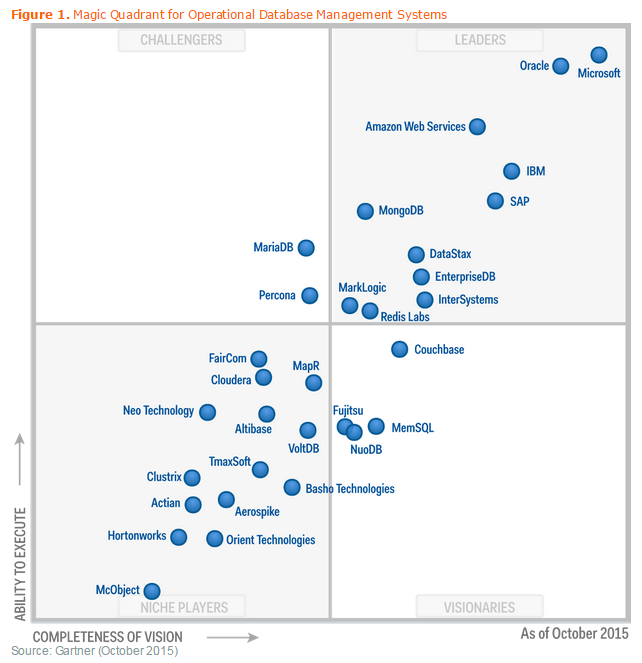 2 vendor in terms of total DBMS revenue. Reference customers were very positive, with the performance of SQL Server, documentation, support, ease of installation, integration and operation all rated highly. Although SQL Server is an enterprise-class DBMS, Microsoft continues to struggle to dispel a perception of weakness in this area. Inquiries from Gartner clients demonstrate a continuing perception that SQL Server is not used for mission-critical enterprisewide applications — a view that inhibits wider use of SQL Server as a primary, enterprise-class DBMS. Microsoft still lacks an appliance for transactions (one comparable to its Microsoft Analytics Platform System, formerly Parallel Data Warehouse). By contrast, its major competitors (IBM, Oracle and SAP) all offer one, as does one new entrant to the Magic Quadrant (Fujitsu). Microsoft received below-average ratings for pricing suitability, a problem that stems from the pricing model changes implemented in SQL Server 2012. Microsoft’s cloud offerings appear to be partially mitigating this concern. "The metadata could not be determined because every code path results in an error..."
"Unable to retrieve column information from the data source. Make sure your target table in the database is available"
Simply said, it needs help regarding the metadata.